Promotes a “Green Image” to your customers. Can be used with all natural products, most common insecticides and Non Repellent type products. 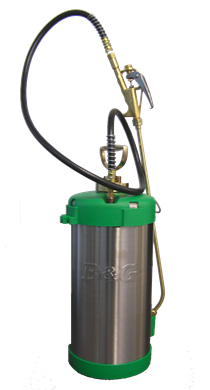 In addition to promoting a green image, with its green top and bottom, it allows the technician to easily identify the contents of the sprayer.